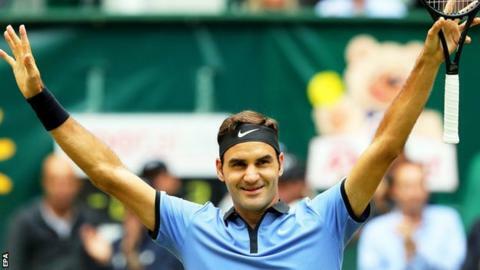 Roger Federer warmed up for Wimbledon by winning a record ninth title at the Gerry Weber Open in Halle, Germany. The 35-year-old Swiss, who is aiming for a record eighth Wimbledon crown and 19th Grand Slam title, beat Alexander Zverev 6-1 6-3 in 53 minutes. "It was by far my best match of the week. I'm feeling excellent and it's a pleasure to be back," said Federer, who skipped the clay-court season to rest.